If you want a treat that the whole family will enjoy, then you must see the production, “MADAGASCAR LIVE” and become immersed in this highly creative venue. For the first time, DreamWorks Theatricals and Broadway Across America are bringing “MADAGASCAR LIVE,” the first-ever live family touring show to Radio City Music Hall, in New York City, and later to over 70 cities across the United States throughout this year! For those of you who remember watching Madagascar, the movie, you will recall the cast of characters who made the movie such a success. 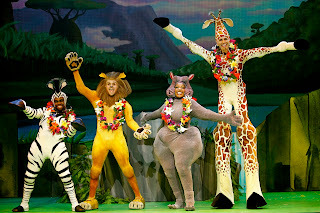 A brand new stage show, aimed at family audiences, stars the cast of popular characters from the beloved “Madagascar” film series, which include Alex the Lion, Marty the Zebra, Melman the Giraffe, Gloria the Hippo and members of the madcap Madagascar crew, King Julien and the crafty Penguins. This widely successful production, popular across audiences of all ages, adapts the original story and brings it to new life in this 90-minute stage show. Audience members are transported from the Central Park Zoo to the wild of Madagascar. 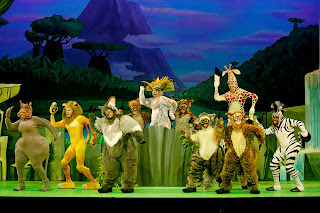 In addition to featuring everyone’s favorite characters,“MADAGASCAR LIVE” takes the audience on an action packed adventure with an imaginative set, costume and puppet design, magnificent singing and dancing, and of course, everyone’s favorite hit song, “Move It, Move It,” for an experience the entire family will enjoy. My son (age 7) and I had the opportunity to not only see the show, but were also invited to experience the Radio City Stage Door Tour, interact with King Julien and even meet an actual Rockette! 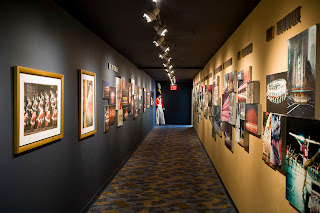 It was exciting to learn about the architecture and design of Radio City Music Hall, see photos of the legendary Rockettes from their origin in 1932 to present day, and finally encounter and take photos with one of the real Rockettes. But of course, for the children, meeting King Julien off stage was the biggest treat! With gifts and stickers to go around for Madagascar questions answered correctly, no one was left empty handed! The tour guides were also extremely knowledgeable, enthusiastic, and kept the tour group in suspense every step of the way! 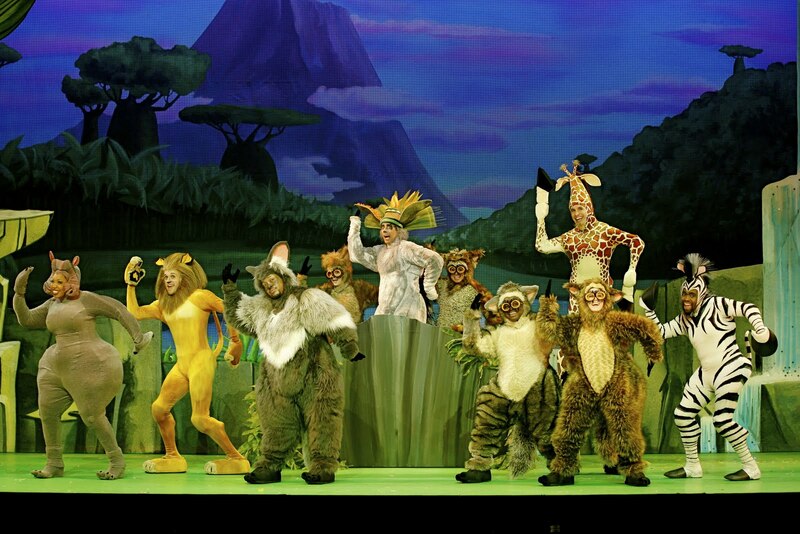 “MADAGASCAR LIVE” will be performing 18 shows at Radio City Music Hall beginning April 15 through April 24. Tickets for the general public are on sale now by calling 866.858.0008, online at www.radiocity.com/Madagascar.com or in-person at the Radio City Music Hall box office. For groups, please call 212.465.6080. Members of Motherhood Later can get 50% off select tickets with code EM412. For more information about “MADAGASCAR LIVE,” visit www.madlive.com or on Facebook (http://www.facebook.com/pages/Madagascar-Live/156147897738163). This is one show you and your family won’t want to miss!